• Yes. Yes I have seen this event. I have not actually seen this event logged by Windows but suspect that if it is logged at all it would be in conjunction with IIS's certificate mapping capability where users are authenticated via a client certificate which is then mapped to a Windows user account according to mapping rules defined in IIS. 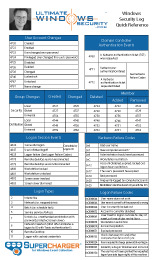 An account was mapped for logon.